VIFA-EXPO 2018 will be held from March 7 to 10 at the Saigon Exhibition and Convention Centre, 799 Nguyễn Văn Linh Street, District 7, Hồ Chí Minh City, Việt Nam (The first in a series of ASEAN fairs). 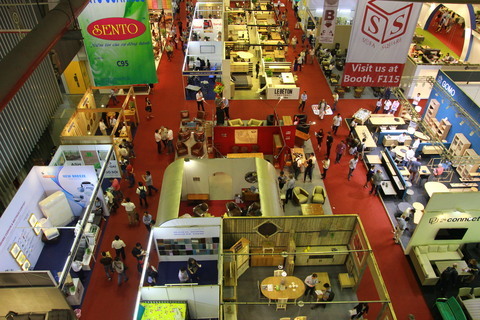 VIFA-EXPO, to be held in Việt Nam’s economic hub, will serve as a platform for furniture, handicrafts, home decoration products and supporting services that will meet the needs of buyers all over the world. The event will be much larger in scale this year: There will be more than 1,980 booths, an increase of 29%; and 450 enterprises, an increase of 43%. Buyers will easily find products they are looking for at competitive prices. Visitors are expected from more than 79 countries and territories. Seeing is believing. So, besides visiting the fair, buyers will also be invited by Vietnamese and foreign exhibitors to visit their factories in Đồng Nai, Bình Dương and Long An provinces (about 1-2 hours drive from HCM City), to strengthen their trust in their brands. It is easy and convenient for buyers to visit fairs in ASEAN countries like Singapore, Malaysia, the Philippines, Thailand, and Indonesia since it takes just 1 – 3 hours to fly there from HCM City.